View live and recorded video from your phone or tablet from anywhere. Featuring HD resolution, a built-in microphone and speaker to communicate to loved ones, and IR LEDs for crystal clear night vision, this compact indoor Wi-Fi camera is perfect for monitoring your home or small children. This camera features NO monthly fees or hidden charges of any kind. The Clare Indoor Wi-Fi Cube Camera is capable of up to 2 MP HD video resolution that captures the finest detail. The cameras simple design makes installation a breeze, even in difficult locations such wall mounting or tabletop. Easily access over 15 days of recorded video via the ClareVision+ App for iOS and Android. The camera is both Wi-Fi and ethernet compatible, and accepts PoE (Power over Ethernet) if needed. 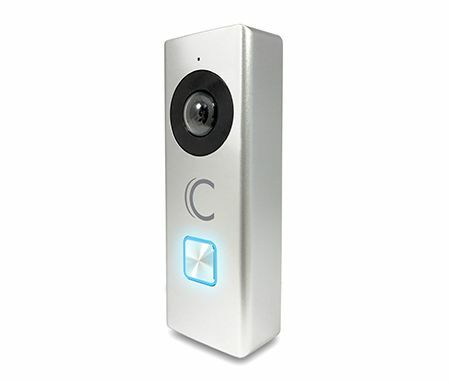 Stay connected, feel safe, and worry less with the Clare 2MP Indoor Cube Camera.